Hi friend! Happy Tuesday! When we released the Grey’s Anatomy Supply List document with the projected layouts, we left one 25×25 blank panel. The square is meant to be crocheted in any color you like and for you to choose which show related appliques you’d like to place on your panel. 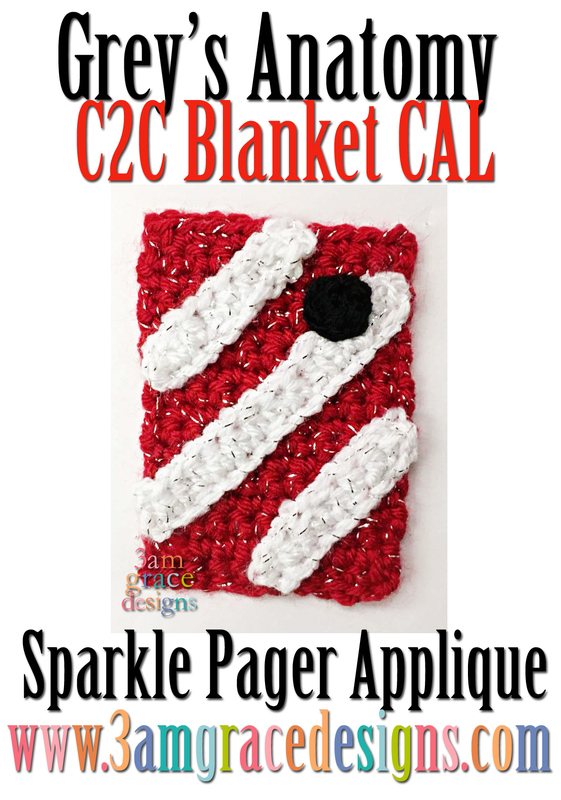 Our third applique is the sparkle pager. The sparkle pager was a glittery pager that was paged when a surgery was received by another resident. The sparkle pager owner then has the ability to take the surgery. In Freedom, Part 1, Meredith Grey gives the sparkle pager to Cristina to cheer her up. -Sew or glue stripes and button onto Pager.